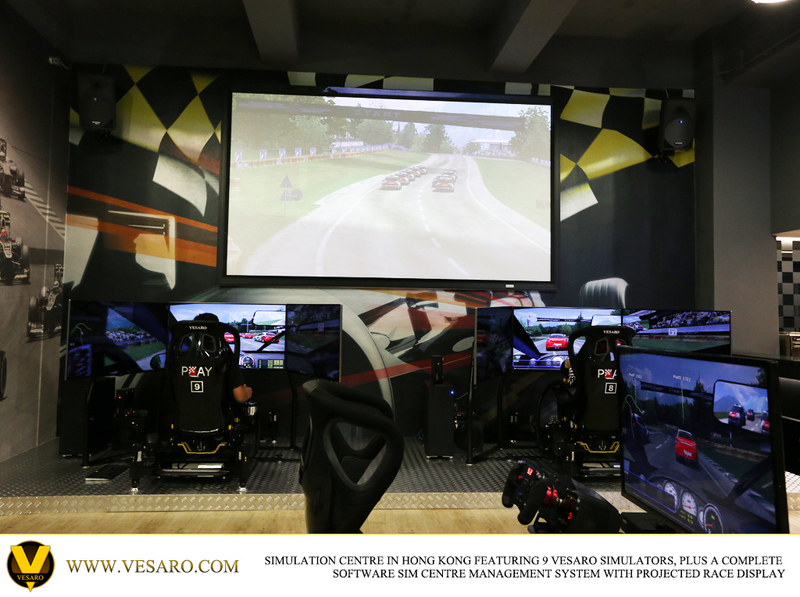 Vesaro setup a training session with partner Laurens Vanthoor, 2014 Blancpain endurance Series Champion, at this year's Nurburgring 1000 race. We took along Laurens main training simulator as well as a second simulator for some R & D training development. Laurens discussed his position racing for Audi, the benefits of the integrated DBOX motion technology and how simulation training helps him to be a better race driver. The two systems used where our Stage 9 and the Vesaro I Evolve Extreme which is a Special Edition extreme version of our Stage 10 system featured the world's first triple 55 inch Curved OLED wrap around displays offering 165 inches of OLED screen space. The stage 9 features the latest 3 inch motion tech and the special edition rig features the latest 6 inch motion technology. For more information about both these systems visit our site. Teaming up with Laurens Vanthoor, Belgian Audi Club Team WRT champion winner of the 24 hours of Spa 2014, D-BOX and Vesaro changed this professional driver’s training experience. 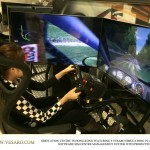 They increased his performance by creating the most immersive and true to life virtual training environment. 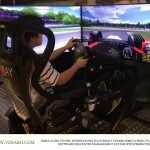 Racing simulation systems are constantly enhanced with more precise technologies such as; better visuals, featuring more pixels and larger screens, clearer sound by adding channels and a larger frequency response scope, and force feedback steering systems etc. 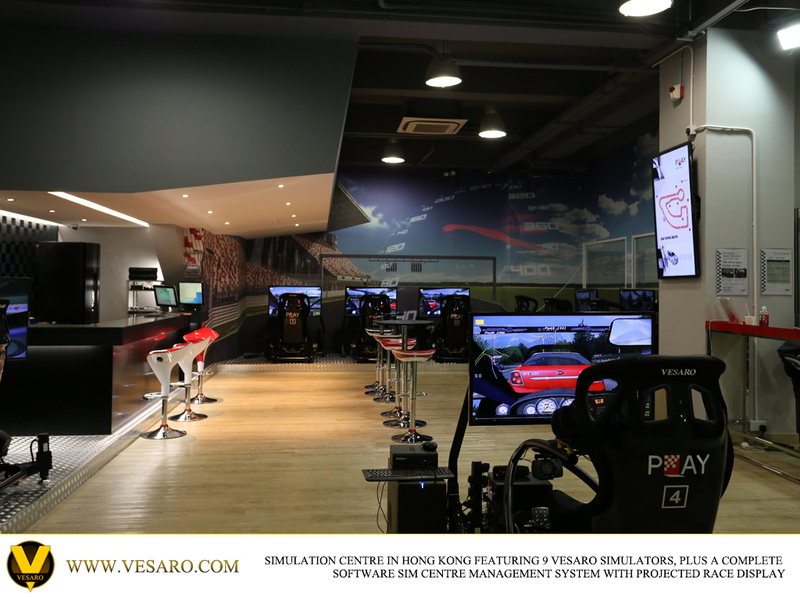 The Vesaro driving simulator is now combining a range of technologies to further enhance the expected immersive experience you need. Precise motion and vibration is the next level of experience you must get to maintain a competitive edge. D-BOX Technology can now further convince your brain that you’re driving simulation experience is closer to reality by stimulating your kinesthetic sense. These high tech actuators will generate physical cues that are critical in car driving simulation. For over 10 years D-BOX has been working with the entertainment and simulation industries providing motion solutions to create a realistic experience for multiple audiences, making them part of the action. 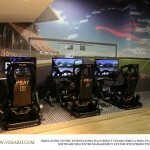 Today, pilots like Laurens Vanthoor, leverage D-BOX’s motion through Vesaro’s simulators all around the world. Since we can generate highly precise and accurately tuned movements and vibrations we ensure the most efficient driving simulation training system ever. "Obviously motorsport is expensive and we can't train every day like football players for example... 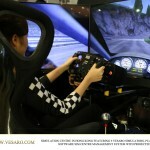 The only way we can train and keep sharp is with the use of simulators. Learning new tracks, training to stay focussed and even develop techniques are some of the benefits we can get from simulation training. 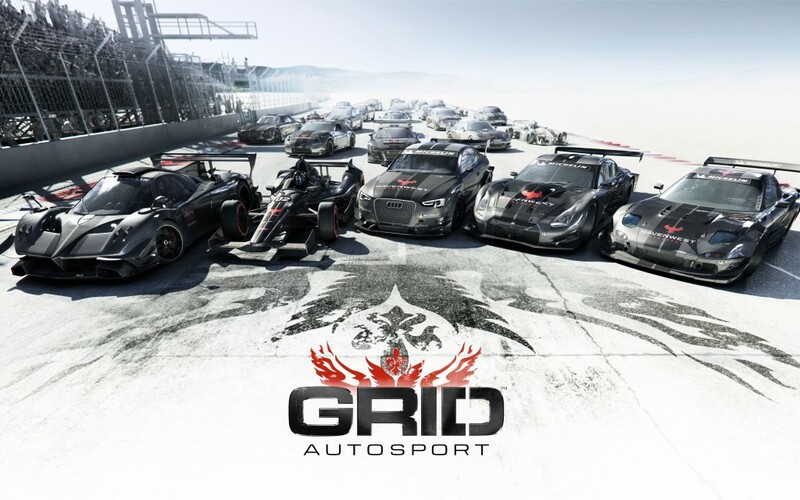 Online racing is also getting more and more competitive and simulation training proves a valuable way to keep sharp against other racing drivers.” Laurens Vanthoor says. Track personality and conditions as well as race car handling are essential parts to improve pilot’s preparedness. Getting ready for a championship and having the opportunity to virtually rehearse a track in any weather condition is a new key competitive advantage. The total immersive experience in training translates into fractions of second enhancements and improvements that will help drivers to get closer to the pole position. 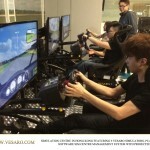 "I trained using the D-BOX powered Vesaro Simulator just before our Blancpain Sprint Series race at Brands Hatch this year. This was a track which I didn't know, but I was able to learn the track, feel the bumps and the curbs, increase my focus and much more. Putting my car in the pole position a day later explains how much it helped me…" Laurens Vanthoor adds. 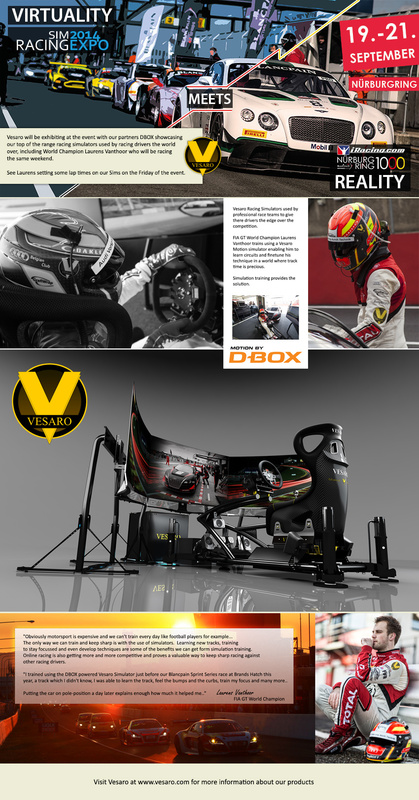 The solution developed by D-BOX and Vesaro is already helping the best drivers to improve their performances and augment their driving skills. Offering new combinations of driving simulation solutions, we are aiming to make the best training experience through scalable and adaptable modules. 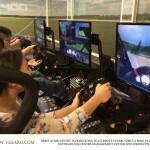 Find the Vesaro Simulator at SimRacing Expo at iracing.com Nurburgring 1000 on September 20-21, come and meet us and test a radically new way to train. Feel for yourself how easily this kind of solution can become a part of your training experience to augment your skills, and improve your performances. 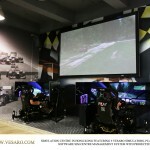 Vesaro will be partnering with DBOX to exhibit our top of the range simulators at the Nürburgring 1000 Sim Expo event, we will be joined by Laurens Vanthoor, Audi WRT world champion who will be racing in the real world event and doing some training on our simulator at the Expo prior to the race. Come and visit us and try out what we have to offer. We are exhibiting two brand new configurations that we have yet to show at an event featuring the latest cutting edge motion tech from DBOX, our Pro Controls system and the world first Triple Curved OLED display setup. With the Simulation Centre up and running now attracting many visitors from around Hong Kong here are some more pictures of our simulators being put through there paces. 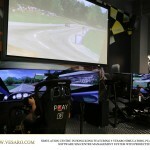 The centre has 9 Vesaro Simulators which are networked together for multiplayer racing. 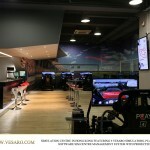 We also installed a complete Sim Room management system allowing the centre to fully manage visitors to the centre, remote control all 9 pods from a single control PC including boot up, shut down, setting up races, starting and stopping races, not to mention full telemetry data and a host of other features. 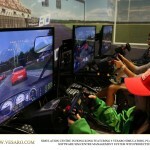 In addition we setup a projection display onto the wall showing the race in progress for visitors to the centre. Our team flew out to Hong Kong to complete the install and provide training on using the software enabling the business to launch quickly and efficiently. We work hard to create machines that can make a difference to racing drivers and to see such positive and direct results is truly inspiring. Lauren trains using a 4 actuator Vesaro motion system using Lazer scanned tracks recreated by the motion system to within 4mm accuracy. 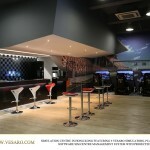 Vesaro are proud to announce the launch of 321 Play Simulation centre in Hong Kong. 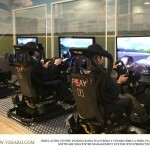 The centre has 9 Vesaro Simulators which are networked together for multiplayer racing. 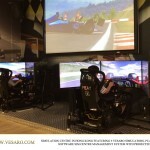 We also installed a complete Sim Room management system allowing the centre to fully manage visitors to the centre, remote control all 9 pods from a single control PC including boot up, shut down, setting up races, starting and stopping races, not to mention full telemetry data and a host of other features. 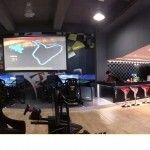 In addition we setup a projection display onto the wall showing the race in progress for visitors to the centre. Our team flew out to Hong Kong to complete the install and provide training on using the software enabling the business to launch quickly and efficiently.